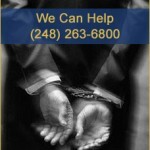 Robbery charges in Michigan are serious and you need serious, effective and aggressive representation. 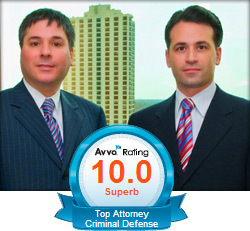 Every case is defensible when you have lawyers who are not afraid to win. Robbery is a major felony and a conviction will likely result in serving jail time or even a significant amount of time in prison. Your best hope of avoiding jail, prison and a conviction is with Michigan’s top criminal defense law firm, LEWIS & DICKSTEIN, P.L.L.C. Regardless of the strength of the prosecutor’s case or the aggressiveness of the police, we are ready to fight to protect you and make sure you are treated fairly. Robbery is the taking of property or money that belongs to someone else with force, fear or violence. The maximum penalty for unarmed robbery is 15 years in prison and up to life for armed robbery. Robbery offenses can occur in many ways. One of the more common ways is when a person committing a retail fraud fights with store security. So, a relatively minor retail fraud misdemeanor can be turned into a 15 year felony. Prosecutors in Wayne, Oakland and Macomb counties look for any opportunity to charge a person with a felony and even experienced defense attorneys are rarely qualified to handle these cases. Armed Robbery is similar to “regular” robbery except there is possession of a dangerous weapon or item that a person believes to be a dangerous weapon or the alleged defendant represented that he was in possession of a dangerous weapon. Obviously with either offense the consequences are substantial. This is why you should not put your faith and freedom into the hands of just any lawyer. Just like any profession, lawyers come in all levels of experience. If you were facing open heart surgery, you would want the best heart surgeon you could find. The same goes with attorneys. When your freedom is at stake, your best hope is to hire the best robbery defense attorneys in Michigan, Lewis & Dicktein, P.L.L.C. The only guarantee you can get in court is that the prosecution will do everything possible to convict you. 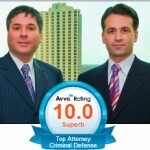 Because the risk is high and the government has unlimited resources, you need a serious defense lawyer who has the skill, reputation and resources to do whatever is necessary to fight your case and obtain the best result possible. LEWIS & DICKSTEIN, P.L.L.C. has a reputation for success and respect. When a prosecutor or judge sees that one of our attorneys representing a defendant on a criminal charge, things tend to change for the better. The government tends to be less combative and prosecutor’s are more likely to negotiate, because they know LEWIS & DICKSTEIN, P.L.L.C. is relentless in its pursuit of results for its clients. The choice of an attorney to defend robbery charges can mean to difference between many years in prison, jail time, probation or a not guilty. It is important that you protect yourself and your freedom. The attorneys at LEWIS & DICKSTEIN, P.L.L.C. have spend decades representing people charged with crimes in state and federal court throughout Michigan and the United States. We have an unparalleled track record of success. Our attorneys are forward and creative thinkers. We take every case as an opportunity to make sure that the criminal justice system works to the best advantage of our clients and we will make sure that the police, prosecutor and courts are called out on any unfair or unethical conduct. Our ultimate goal is a dismissal or not guilty verdict when possible. The attorneys of LEWIS & DICKSTEIN, P.L.L.C. will investigate every option and be with you every step of the way to make sure that you get the best defense and the best result you deserve. Please contact us at (248) 263-6800 or complete a Request for Assistance Form and one of our award winning attorneys will contact you.